Technology group Netgem has confirmed its strategy of reorienting as a provider of connected home solutions and services for multi-service operators as it posted a 32% decline in revenue and a 59% decline in EBITDA for 2018. 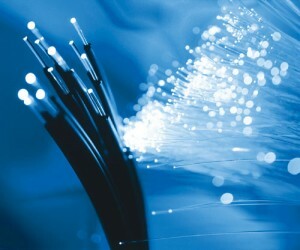 Netgem has focused its efforts on providing services and equipment over public initiative fibre networks in France. These Réseaux d’Initiative Publique (RIP) shared networks, supported by local authorities to cover less densely-populated areas, operate on an open-access model allowing multi-service operators to target consumers without making significant infrastructure investments of their own. Netgem has joined forces with Caisse des Dépôts and Océinde to create Vitis, a multi-service and ultra-speed internet operator operating as Videofutur brand, which is currently the leader in RIP zones. The group recently struck an agreement with Altice France/SFR to make its service available over RIPs operated by SFR. Videofutur currently offers fibre services in 30 French departments covering over a million homes. The service provider delivers quad-play services offering broadband at speeds of up to 1Gbps downstream and 200Mbps upstream, fixed and mobile telephony and TV with a 4K UHD box, 100 HD channels, a VOD library of about 4,000 titles from FilmoTV and TFOU MAX and 100 press titles offered via LeKiosk. The offering also includes access to a wider VOD à la carte library of 15,000 movies and series episodes, the Disneytek VOD offering, Amazon Prime Video, BeIN Sports and OCS. Netgem posted revenues of €41.8 million for the year, down 32%, and EBITDA of €2.7 million, down 59%. The company said the decline in revenue was attributable to a slowdown in operators’ purchasing of its core TV Box offering. Revenue from non-consolidated Vitis/Videofutur, mostly comprising the sale of services, was up 86% to €10.4 million. Vitis posted a loss of €5.5 million due to subscriber acquisition costs. Netgem said it now plans to transfer its French and German platform business to Vitis, enabling the group to up its share in the venture to 53%. The new strategy has been recently introduced in the UK market with the launch of the Netgem.tv service, offered as bundle with fibre broadband ISPs, based on the multiscreen TV product, which offers direct access to entertainment services with recommendations across live or on-demand streaming content.